I know just about every critic in the galaxy has said something about The Phantom Menace since it first came out in 1999, but I thought I could come up with something a bit different. Most other reviews are by people who saw Phantom Menace after already seeing the original trilogy and finding it to be a huge disappointment. For me, I was only five years old when this came out in 1999 and was my first experience of Star Wars, and my first experience of sci-fi for that matter. I fell in love with this movie back then and Star Wars has been my favourite movie franchise ever since. From that day on, no matter what negative comment anyone gave this movie I would always defend it as it was a huge part of my childhood. Reviewing this now without having those nostalgia goggles on, I’m saddened that I have to admit that this was a pretty bad movie. I never wanted to be one of those people but I have to rate this one fairly unfortunately, even if it is the film that made me a movie fanatic. I’m watching the blu-ray version so I get CGI Yoda and not creepy puppet Yoda. I will say that there is some goodness in this flick, but a half hour’s worth in a two hour plus movie isn’t really that great overall. I guess I’ll start off with the stuff that I liked since that list is considerably shorter. As few and far between as they are, the action scenes are all pretty good. The lightsaber choreography is well done throughout and usual accompanied by John William’s incredible score. The last twenty minutes or so is when the movie really comes into it’s own with the three separate battles taking place. The Gungan battle isn’t as bad as you would think it would be even with Jar Jar trying his damndest to ruin it. The battle between the Queen’s guard and the droids is just a basic shooting spree but still enjoyable. 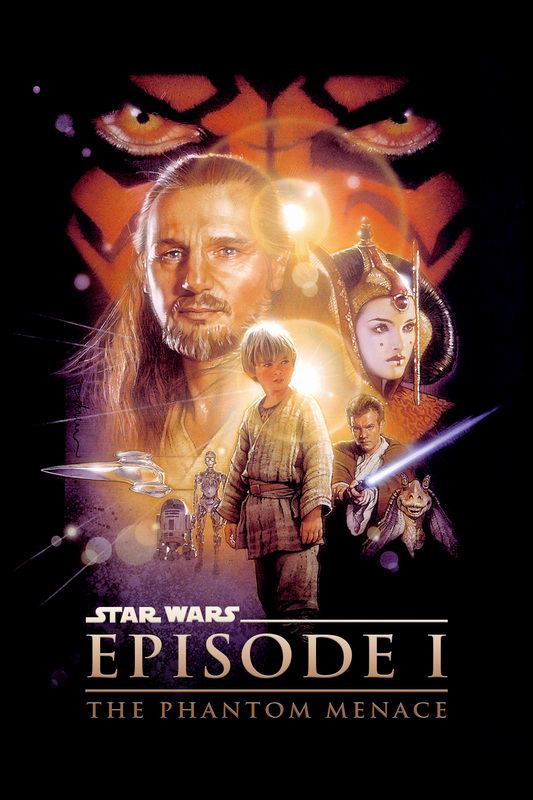 Then we get the fantastic lightsaber battle with Darth Maul taking on Qui-Gon and Obi-Wan. As noted earlier the choreography is excellent and Mr Williams has to be commended for ‘Duel of the Fates’ as it’s an awesome piece of music and one of the best of the entire sage, making every swing of a saber feel like an epic moment. I have to admit that I also really enjoyed the podracing scene, and it honestly feels like the first proper bit of fun in the movie, even if the announcers do get on my nerves pretty quickly. The special effects are good for the time and a lot of them still hold up today. Also Ian McDiarmid was great as Senator Palpatine. You could tell that he was having a blast being out back in the role and he played the part of the future Emperor as well as you’d want him too; subtle and only showing glimmering moments of his future evil. And now sadly we come to the stuff I didn’t like. I really wanted to like the underwater bongo (it’s a Gungan submarine) scene with the heroes trying to escape a bunch of deadly fish, but it was impossible with Jar Jar just making it cringeworthy with his dialogue and actions. I’m gonna try and not mention Jar Jar too much as he is the main reason why this movie just doesn’t work and he just brings the whole thing down with his terrible comedy, even going as low as poop and fart jokes to bring any kind of laugh out of the audience. They do try for a bit of comedy in this but I’m not kidding when I say that absolutely nothing lands. I did not giggle once during the entire runtime. And aside from Palpatine, I could not find a single bit of acting that I enjoyed. Everyone is just so wooden with no emotions being shown and everyone looks like they’d rather be somewhere else than in this movie. It even happens with Samuel motherf****** Jackson, who is the last person I should be describing as wooden. And I know everyone has slammed him, but Jake Lloyd really didn’t work as Anakin and it seemed very hard to believe that this kid would grow up to become the greatest movie villain of all time. It doesn’t help that we have the racially insensitive Neimoidian’s who seem to be portraying Asian characters. And Watto who sounds a lot like a stereotypical Jewish man does not help. And those scenes I described as enjoying earlier are the only ones. The movie starts with a weird pace where we seem to quickly jump from location to location and it never feels like we get a chance to explore these places. We then stop in Tatooine which doesn’t become interesting until the aforementioned podrace. After a short but sweet saber clash we hit the Senate on Coruscant and proceedings slow to a snails pace. We are treated to a committee meeting to discuss the invasion of Naboo and some other stuff I honestly can’t even remember. Even the damn Jedi Temple is boring which feels like an absolute movie sin and even Yoda isn’t interesting. Thankfully this does pick up to our big final battle but it does feel like forever. 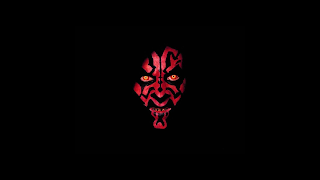 And lastly, why the hell did they (spoiler alert I guess) kill off Darth Maul? He could have been a great villain to keep for the sequels and he had so much wasted potential as a badass enemy of the Jedi. At least Clone Wars did rectify this. Overall this was quite a bit of a mess and this is coming from someone that didn’t have the originals to compare it to when I first saw it. The pacing’s all over the pace, the story’s uninteresting and the acting and characters just feel lifeless most of the time. The action scenes are very good, but again these don’t happen very often and mostly take place at the end when we don’t really care anymore. I can’t in good conscience give this an F rating as I still do hold some nostalgia and I still did enjoy some of it, but I do have to say that it is definitely a bad movie.